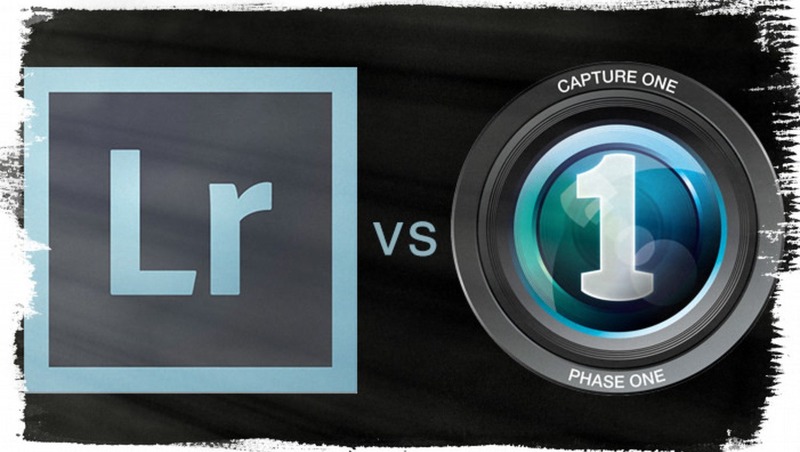 Lightroom or Capture One Pro, Which Raw Processor is Best? When it comes to raw converters and photo library managers, our choice of products has recently become more limited with the demise of Apple’s Aperture. My impression in the past was that one’s choice is largely based on features and ease of use with little difference in image quality between them. That opinion was quickly changed when I started digging into Phase One’s Capture One Pro 7. For the majority of my work I avoided shooting tethered due to the pervasive connection issues that plagued Lightroom - my go-to raw processor for the last few years. A few weeks ago when while filming a new fashion, beauty and portraiture course for PRO EDU, I was forced to shoot tethered and decided to do so with Capture One. While I’ve had Capture One installed for a few months now, my initial impressions weren’t positive and so it sat idle on my computer. After completing the three days of shooting I began inspecting the images and while pulling them into Photoshop, I couldn’t help but notice that the quality felt better than what I’m accustomed to. I initially suspected that this might be due to the expensive Broncolor lights and parabolics that we used throughout the shoot, but to be sure I decided to pull my images into Lightroom for a comparison. It immediately became apparent that the quality upgrade I was seeing was the result of Capture One’s raw processing engine and little else. This was enough to encourage me to forge ahead with Capture One and further explore its options. After spending a fair amount of time with it, I thought I’d share some findings to help you make the right choice for the sort of work you do. I’ve heard people going on about the improved image quality and tones out of Capture One (C1) for some time now, but always felt that these were overblown claims which varied by photographic genre, or were reserved for owners of the expensive Phase One Medium Format cameras. A raw file is a raw file I thought. 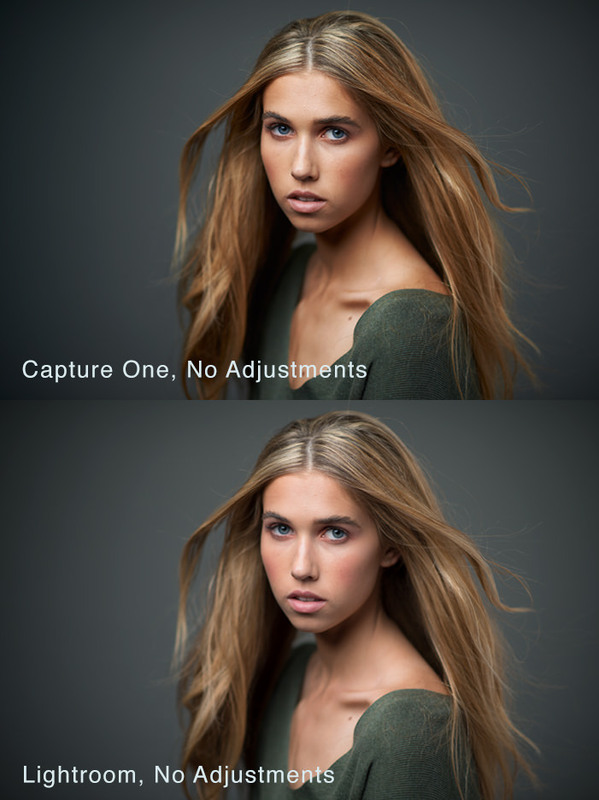 When I first got my copy of C1 a few months back, I decided to put this claim to the test and loaded in some images from a recent beauty shoot. My excitement quickly turned to disappointed as the images looked no better, and in fact worse once I began to push the exposure and highlight recovery sliders. My more recent experience made me quickly realize the error I made in my first test. Rather than loading in the native manufacturers raw file, I loaded in a DNG file that was already converted with Adobe DNG converter. I have since asked the folks at Phase One about this and they have confirmed that it's best not to use DNG files with C1. Working with the original NEF (Nikon’s native raw format), the images felt crisper, cleaner and not as washed out as they do in Lightroom (see comparisons below). Although the images were sharper out of the gate, the sharpness wasn’t harsh and didn’t display any artifacting. One could argue that through a series of adjustments and filters you could achieve the same result as what C1 offers out of the gate, but I still feel as though the image is cleaner from the start and the work is done for you. Another area where C1 shines is the reproduction of tones. They appear more natural and representative of the original scene compared to Lightroom or Adobe Camera Raw. Studying the images between the two converters creates the impression that you’ve gotten an upgrade on your camera gear without shelling out thousands of dollars. Although the interface felt unintuitive and foreign at first, it quickly became logical and well thought out. The key to adopting it was to stop thinking in Lightroom terms and treating it as a new product. The panels are organized in a logical order and can be customized to a large extent. Not only can you enable various sections (or tabs), but you can also tailor the individual tools within those tabs. This is helpful as you can save various workspaces for specific tasks or job types. For example, I can have one workspace for tethered capture which is kept clean and simple, and a more advanced workspace for my editing stage. As you become more familiar with the interface it becomes clear that it was designed with the professional in mind, hence its level of sophistication and initial feature shock. My initial foray into managing my image library with C1 was met with a lot of curse words. The process was different to what I was accustomed to with Lightroom and so I immediately chalked it up to being worse. As I explored it a bit more and began using it on a more day-to-day basis, the design began to make more sense. 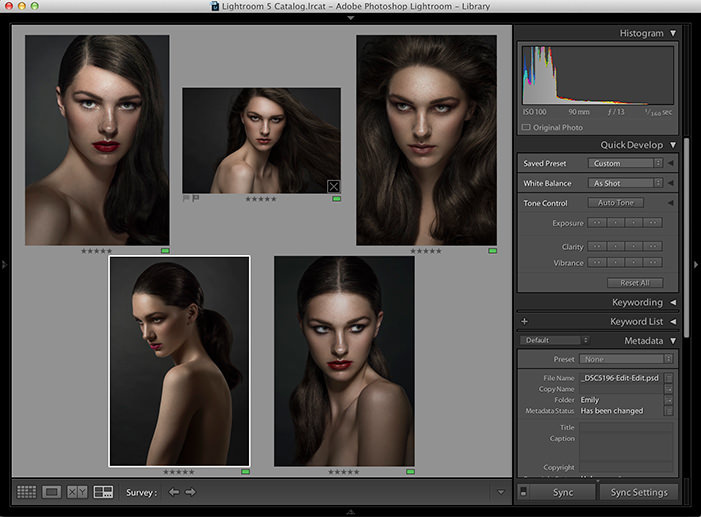 While Lightroom is a collections based system, C1 offers the option of both collections (catalogs) and sessions. Sessions differ from collections in that they are more portable and transactional. A session is a organized into a session folder containing various sub-folders such as Captures, Selects, Output and Trash. Furthermore, each session contains a session file that can load the session contents into C1 regardless of where the session is located. For client work this sort of structure makes good sense as it allows me to shoot tethered to one drive, then copy to my main drive once I’m back the office and easily be able to open it without re-importing or re-mapping anything. Furthermore, the sub-folders help to organize the files outside of C1 for easy access directly out of the file system. In my case, the Output folder contains all the PSD files so I can quickly get to the completed files without searching for them in a large collection. Culling images involves a great deal of time and it’s a process that we’ve all developed our own personal workflow for. While C1 is a star performer in many respects, this is the one area where it falls a bit short for me. 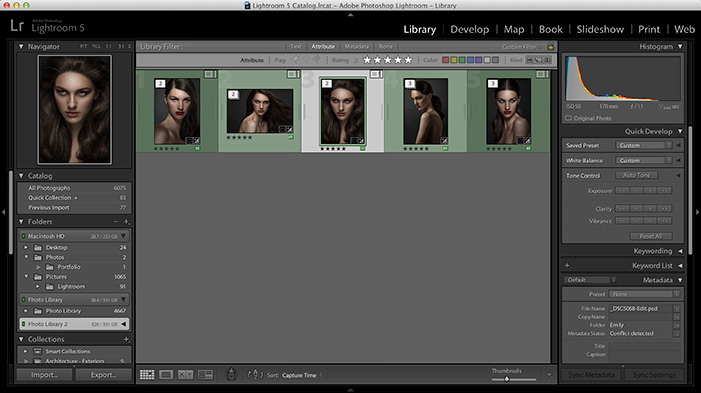 My process in Lightroom was to go through each look and assign a star rating of 1-4. I would then grab all 4 star rated images and enter the survey view where I would compare similar poses, expressions, etc. and eliminate options until I get down to one or two final candidates. While C1 has a star and color rating system, the whole process is just a bit more cumbersome. In full screen mode, the left and right keys don’t cycle through images unless the image bar at the bottom is displayed and there is no survey style view. There are ways to simulate a survey view but it still doesn’t feel as smooth and polished as it is in Lightroom. That being said, C1 also offers a few helpful tools like the focus mask and loupe inspector for quick focus checking which are great when shooting shallow DOF images. 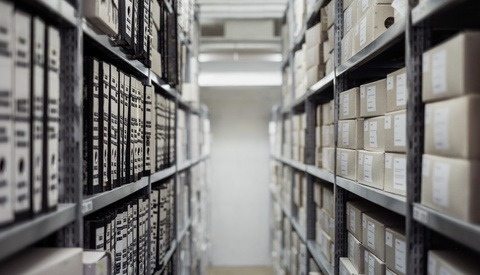 C1’s session based file system is also useful as selects can be placed into the ‘Selects’ folder, again making for easier organization down the road. While I still give Lightroom a slight edge with respect to culling, I’m sure that over time I’ll be able to adapt my workflow to work smoothly inside of C1. Although the initial image quality is great, you may be wondering how C1 stacks up once we begin to play around with the various raw processing sliders. The answer in a nutshell is, very well. In the context of raw processing there isn’t a clear winner however as each application has its share of pros and cons. Both applications have similar sets of exposure, shadow/highlight and other recovery tools, but they behave in slightly different ways. In Lightroom for example, shadow and highlight sliders work in both the positive and negative directions, while C1 treats them as recovery tools only. Although this isn’t a huge problem, I liked having the ability to bring out highlights or darken blacks (which is missing completely in C1) as a finishing technique on top of my PSD file. 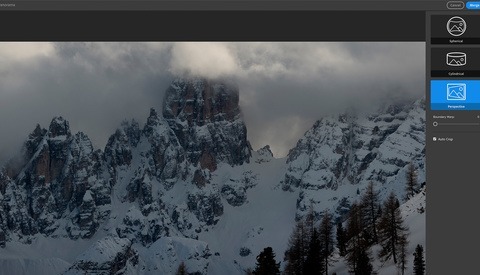 For this reason (and because C1 doesn't support PSD's) I still use Lightroom to house my finished PSD files. In terms of efficacy and quality of the recovery and exposure sliders, both applications work equally well, albeit with C1 producing a better looking result by virtue of it’s stronger starting point. In addition to the exposure, white balance and other standard raw processing adjustments, Lightroom has grown dramatically over the years to include features that were once reserved for Photoshop users. Luckily, if you decide to make the switch to C1 you won’t find yourself stepping backwards in this regard. A lot of the same options such as spot healing and localized adjustments are also available and perform well. 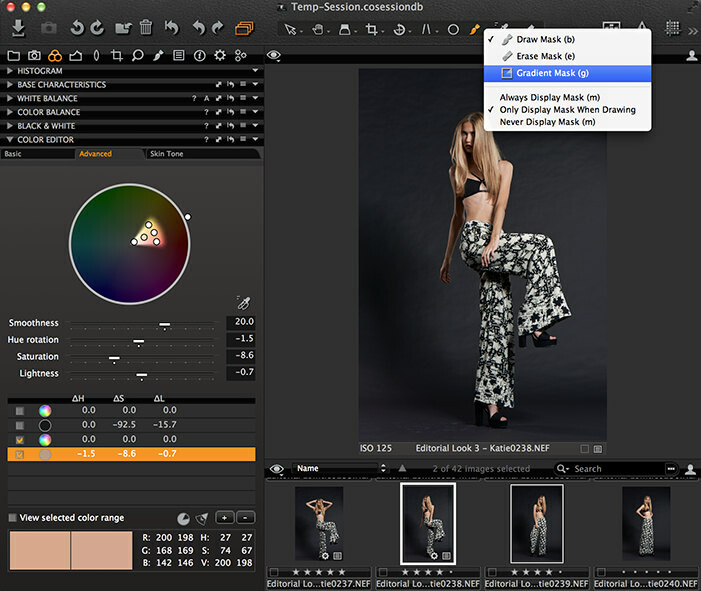 Where C1 outshines Lightroom is in its Color Editor tool (shown below). This tool is almost an application in and of itself by allowing you to specifically target a particular color and luminosity range and make hue, saturation and luminosity adjustments on that range. Combining this with the masking tools built into C1 allows you to make drastic yet controlled changes in an intuitive manner. Both the Color Editor and and local adjustments sections have well organized layers panels that more intuitive and better organized over what is built into Lightroom. Give the nature of my work, I typically do most of my editing inside of Photoshop but the Color Editor still proves to be useful during tethered capture. Due to its flexible nature, I’m able to setup a profile that will be used throughout the shoot to give the client or other members of my team a more accurate view of what the final images will look like as they’re shot. When it comes to getting your files out, once again there are pros and cons here. While C1 provides an extensive and customizable set of output tools via “Process Recipes”, it lacks in its compatibility with Photoshop. Although Lightroom offers customizable output presets, C1’s Process Recipes are fantastic for batching and are easier to set up and maintain. Its ease of interaction with Photoshop is limited by virtue of the fact that it doesn’t use the Adobe Raw converter. Where I would previously open my Lightroom files as Smart Objects or open up multiple virtual copies as separate layers in one file, these capabilities are absent in C1. While opening multiple images or variants (virtual copies in Lightroom speak) will hopefully one day appear as an option, Smart Objects are simply not possible. This boils down to the fact that we’re using C1 for its superior raw processor and if it had to revert to a Smart Object, we’d simply be going back to using Adobe Camera Raw. While this is somewhat of an inconvenience, it’s a price I’m willing to pay for the improved image quality that results. Once again, the file structure of Sessions traditionally places these exports into “Exports” folder of that session (although this is customizable) which makes for easy retrieval outside of C1. Asking which tools is better is like trying to compare a Nikon D800 and a Sony A7R. Both are similar in many ways yet fundamentally different. Neither product is right for everyone and neither one is a clear winner overall. My impression is that Capture One is a better professional or prosumer product while Lightroom’s ease of use make it more suitable for the consumer market. 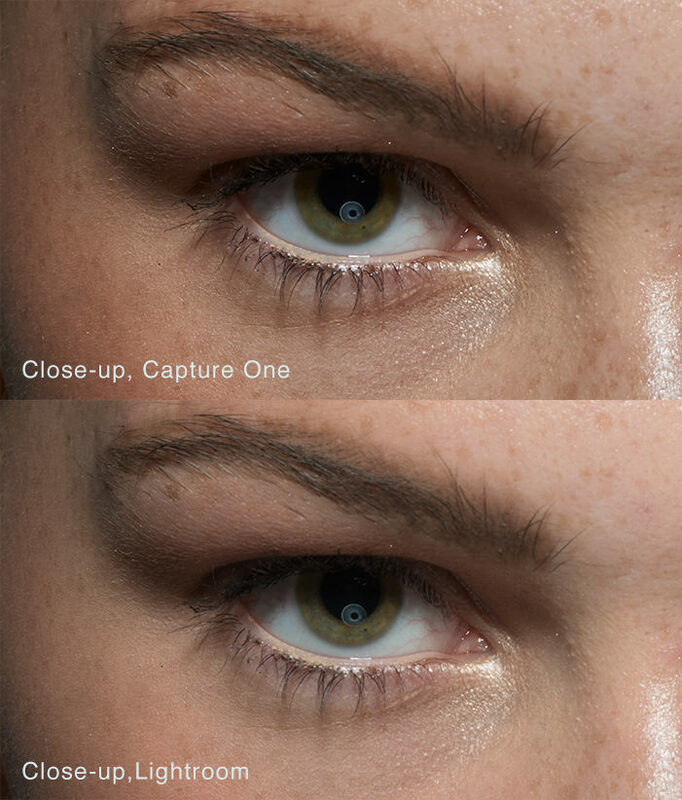 Capture One is designed to work the way most professionals do and its rich set of customizations reflect that. Much like in Photoshop, there are many ways to do the same thing which can make it overwhelming at first. My advice is to stick with it and not to get discouraged simply because it feels unfamiliar. I highly recommend checking out my Ultimate Guide to Getting Started with Capture One which covers everything you need to know in one free tutorial. Phase One also provides a number of topic based videos on their channel as well so it’s a great place to visit if you have questions on specific features. Click here for current deals and discounts on Capture One Pro. Everyone's situation is a bit different so it’s up to you to weigh the pros and cons I’ve described above and decide if the product offers enough benefit for you to make up for the steeper learning curve and inability to work with Smart Objects. For me, the more I work with it the more I’ve grown to appreciate the areas where it excels and the customizability it offers. These benefits were enough to make me switch to Capture One Pro as my primary raw processing tool with Lightroom playing only a secondary role in certain select situations. Despite my initial reservations and objections, it’s superior image quality and other benefits ultimately won me over. Yeah, nothing like color grading on a a tablet. I'm sure the option to have a client grade an image is handy however. It does however assume you want to own an iPad. 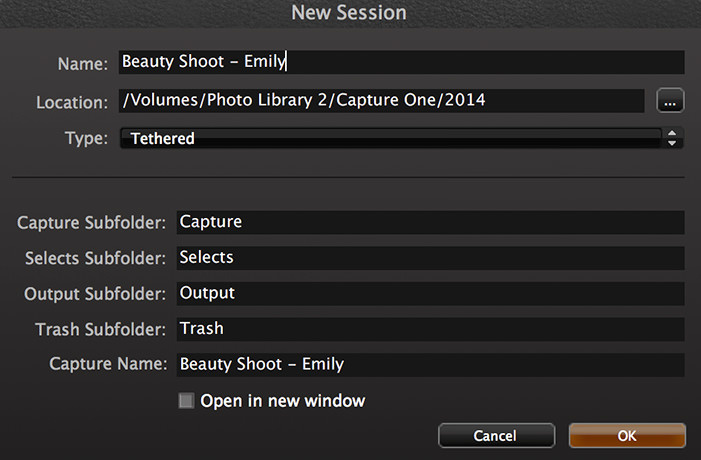 Capture One applies pre-set color grading and effects (that you set up) for a session or series of shots. There are then displayed on the iPad where the client can rate them. They do not do any grading or work on the image past making selects. Replied the wrong person and I can only edit the post and not delete it! Capture Pilot it's an App that let's you receive on the Ipad the Images that are being captured on the capture station. The Ipad is just used to monitor and rate what's happening, and the grading is being done by the Digitech! Imagine the workflow if your stylist got one, the client another, the DA another, and there's no crowd between you and your digital assistant. DSLR Dashboard is cool but it isn't really the same thing at all and they both have different purposes. 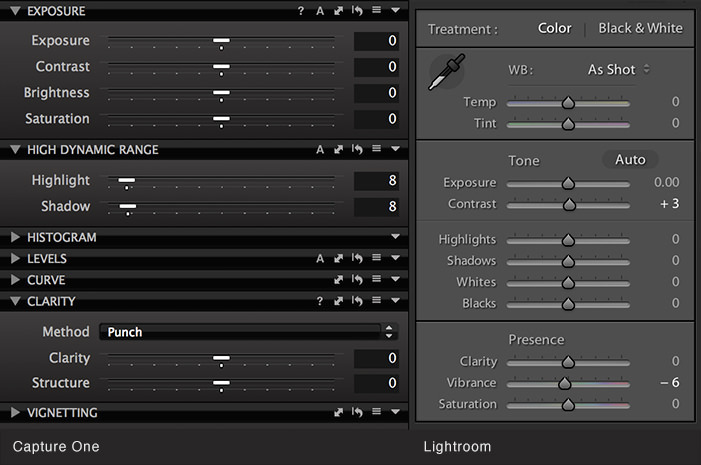 I am really intrigued, I once tried C1 but the interface was foreign for me, maybe because I am so used to Lightroom. I think I should follow your advice and forget Lightroom terms, and give C1 another try. What about presets in C1 ?! I've created so many presets with Lightroom that made everything very quick for me? That's why its very difficult for me to leave Lightroom now. Is this something doable in C1? I'm using both Lightroom and CaptureOne. I prefer the quality and "style" I get out of C1 which is why I tend to use it more and more. Though, I outsource my wedding editing and I haven't been able to find a lab that would use C1 to edit my pictures. So I still use Lightroom for my weddings and C1 for the rest! Is there a whole lot of difference in Capture one 6 and 7? The reason I ask is that I already own 6 and have been meaning to give it a go instead of LR5. But if 6 is now out of date then I wont bother. By the way, pull in a photo with burnt out highlights and see which one recovers more detail. i think that is the true test of which Raw processor (LR, CO, ACR etc) is the best. I watched a demonstration of various RAW processors which showed the real key difference behind them. Aperture had a lot more detail in those highlights. Very interesting read. Thank you. I shall do a test when I get home. I'm a Canon shooter who never had issues with LR tether (except for being slow, oh so very slow--although I tend to shoot a lot then break and review rather than review each single shot, thus not huge issue). From day one, I never used the stock Adobe profile for import, but rather one designed for my Canon 1D camera. While I do see some very subtle difference, it is nowhere near as noticeable as the examples in the well written article above. Thus, I wonder how much of the tonal difference is related to proper profiles? As an Adobe CC user, I VERY MUCH want them to have serious competition and right now it seems the only one close is Capture One. If there is strong competitive market, then the user wins. Where there is no competition software lags and we all lose. Thus, while I'm not making a change now, I'm rooting for C1 to be very successful. "My impression is that Capture One is a better professional or prosumer product while Lightroom’s ease of use make it more suitable for the consumer market." That may be one of the outright dumbest statements ever made. Yep, to be "professional" the SW MUST be difficult to use. Uh, no. LR was developed with the direct input of photographers so that it would intuitive. Is it perfect? no, definitely not. But to say that it is designed for consumers is just laughable. Although I like a lot of things about C1, so far what I get out of LR5 from my Nikons looks better right out of the box. For tethering C1 is a no-brainer, but I recently discovered DSLR Dashboard, so that's a nice option if I want it. For me it's six of one, half a dozen of the other with both these apps. The lack of sophisticated masking is my biggest gripe about both of them. I use C1 when I am shoot tethered which is about 75% of the time but I always import into Lightroom for my raw adjustments.. I have had an issue with C1 when I will make pretty heavy raw adjustments and I process out an srgb jpg it is not exactly what I see in the program (color and contrast will be off).. With lightroom I have never had this issue. And it's not on every image, it just seems to be when I'm trying to stylize.. Anyone have any insight into this or had this issue too? I've been using C1 express for many months now, the upgrade price is stuck at 99eur and closely watched it. I couldn't sworn it's been like that for awhile now, the upgrade price is pretty much the same =/ I wonder if I'm seeing things. Very cool article, I discovered CaptureOne 48hrs ago, and fell in love with it, the details level is simply amazing compared to LR, I've used it on a 24-70 f/2.8 Tamron and felt like I've used a macro lense ! I own both. I really love C1 BUT.... the windows version is way too buggy: catalog function didn't work and also the number of picture inside a catalog or a session vary from time to time, even withouth touching them... The Mac version is instead almost perfect. C1 6/7 pro for capture - PS post production - LR output to clients. I have been using this workflow for the last couple of years and its good for me. Certain aspects are missing from C1 and the colour dropper controll is harder to assimilate que LR but the results are pretty stunning. Being able to output a perfectly clean 80cm x 120 cm image at 350 dpi from a d800 raw is not something i want to give up as i need to work at this size for a lot of my clients. Its quirky but a solid worktool for pros. I have worked for large commercial studios for well over 10 years now and the biggest question I got from clients and new hires was "why dont you guys use lightroom/ aperture/ camera raw." Im going to just start posting this link to them. Capture one is the standard as far as im concerned. Its always been better if not the most popular or least expensive. If youre a die hard fan of lightroom and dont want to switch, youre doing yourself a disservice. Get the free trial, sit down with it and really learn it. You might be surprised. Chris, this is really interesting. I understand new hires asking about the program, as they would likely need to use C1 during photo session. But you had clients actually asking why you used C1 over the other programs? What triggered those conversations? Were they really interested in C1, or just asking because they noticed it wasn't LR/Photoshop? Not sure if anyone mentioned this yet, if they did my apologies. You can use the Levels tool in C1 to darken your blacks/mess with other tonalities and color saturations. I agree it's a little more annoying than LR's easy method (actually one of my fav LR features is grabbing the histogram and dragging it around, not really the same in C1), but possible. I'm a Fuji user and I would absolutely NEVER use LR to deal with my raw files at this point. I made the switch a couple of months ago after reading some articles and being annoyed with all the awful artifacts and blurry LR renditions of my shots. While C1 is slower, and I miss some things that made my developing quicker/easier (radial filters for example), it is a powerful tool that works very well in its own right. But the best thing about it is that I feel I'm maximizing the potential of my images, whereas with LR, that was impossible. How about in term of landscape photography? Does Capture One also providing much superior image quality in different type of images? What does that mean? "and because C1 doesn't support PSD's"
Does it mean that I cannot store my PSD-files in C1 or that C1 is just not capable to further edit PSD's? LightRoom for mr has two major issues for me. At some point Adobe is going to move it to a cloud based license so basically people will have to pay a monthly fee to have access to their libraries. The second is Lightroom and Aperture for that matter do not work well in a office network environment for accessing images from multiple terminals. Right now Adobe Bridge is superior for this than Lightroom. For the most part I do not care about the library functions more about the image processing. I think this article did a decent job of comparing the look and functions of these programs. You can use Command+left or right arrow in full screen to move between images. Same way for me using phocus for my hassy files instead of lightroom. Like day and night.